Search these WSA databases for audio and video. 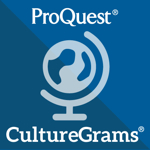 In CultureGrams World Edition, click the 'Videos' tab at the top to find a list of countries. To play a video, select the country and click on the video title in the navigation. You'll find clips of everything from wedding singing in Albania to a floating market in Vietnam! For bird lovers, the CultureGrams State Edition has recordings of the state birds. Digital Theatre Plus has video of productions of theatre, musical theatre, film, opera, and ballet, as well as interviews of directors, actors, and other creative team members. You can also find recordings of over 170 plays live in performance, everything from Shakespeare and Oscar Wilde to Arthur Miller and recent Tony winners, all with top-name actors, from L.A. Theatre Works. To search eLibrary's over 18,000 video clips, click on 'Advanced Search' below the main search box, then type in your search terms, and click the button for Multimedia. Wow! Look what else eLibrary has: 100% full‐text, 1600+ magazines/journal titles, 300 newspapers & newswire titles, 390+ digitized books, 7.9 million images, 7,000+ maps, current and historical, 1.3 million TV & Radio transcripts, 121,000+ editor selected Web links, and 11,000+ Research Topics. 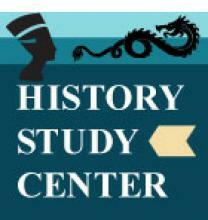 History Study Center's Video Library has hundreds of historical video clips, captioned for context and easy searching. Use the Multimedia page in History Study Center to precisely search the images, video and Web links or limit your search to a particular resource type. Learn360 has streaming video and audio, with thousands of digital video titles, video clips, newsreels, and speeches. You can also browse videos by subject, topic, and language. 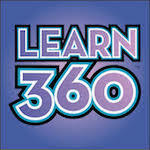 Access to Learn360 requires individual user names and passwords assigned by the librarian. 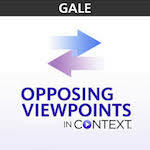 Search Opposing Viewpoints in Context for information and opinions on hundreds of current social issues. To find video or audio files, go to Advanced Search, deselect "Full Text Documents" and "Peer-Reviewed Journals", then select Audio File and/or Video File in pull-down menu for Document Type. ProQuest Learning: Literature contains 841 Poets on Screen recordings of contemporary poets reading from their own work and the work of other poets, and over 290 video clips providing context for the study of literature. Multimedia resources in ProQuest Learning: Literature can be found using the Quick Search or searched in more detail using the Multimedia Search screen. Reference resources to help middle school students complete assignments in core subjects, and over 173,000 audio files (such as NPR interviews) and over 12,000 videos (such as historical footage, This Day in History, and PBS News Hour.) To find video or audio files, go to Advanced Search, deselect "Full Text Documents" and "Peer-Reviewed Journals", then select Audio File and/or Video File in pull-down menu for Document Type. Remote access requires Library ID password. 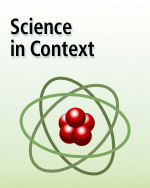 Science in Context has over 180,000 audio files and over 5,900 videos on hundreds of significant science topics. To find video or audio files, go to Advanced Search, deselect "Full Text Documents" and "Peer-Reviewed Journals", then select Audio File and/or Video File in pull-down menu for Document Type. Meet authors and illustrators—anytime—in TeachingBooks.net original movies that illuminate the creative process. Listen to authors read from their own works, and watch as illustrators reflect on their own craft. TeachingBooks.net has over 3,800 'book trailers' - short videos that bring books fully to life. If you're not sure how to pronounce an author's name, check out the Audio Name Pronunciations - videos of authors saying their own names! For off-site access, register with TeachingBooks.net with your WSA email address while on the WSA campus. 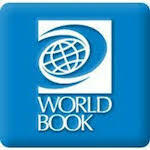 World Book has sound files, animations and videos in addition to reference articles, ebooks, and primary source material. Need the sound of a waterfall crashing, a cricket chirping, or a cuckoo clock? Check World Book. You'll also find animations of various scientific phenomena. In the Sound and Pictures area of Advanced Search, be sure to have 'Sound' and 'Animations and Videos' checked. Remote access requires login ID and password. French students can use Yabla to learn the language by watching videos in an online video player . Videos are rated by level (beginner, intermediate, and advanced) and organized in over 20 categories - including art/culture, travel, student life, sports, and grammar. 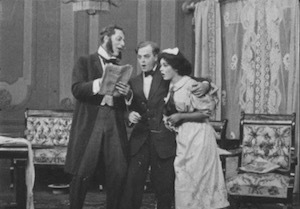 The Library of Congress has digitized hundreds of films and made them available to the public. The National Screening Room showcases the riches of the Library’s vast moving image collection, designed to make otherwise unavailable movies, both copyrighted and in the public domain, freely accessible to viewers nationwide and around the world. Care to check out home movies of Liza Minnelli’s second birthday party, hosted by Ira Gershwin? Thomas Edison footage of Coney Island at night, circa 1905? LBJ’s “Daisy” political spot with the little girl and the nuke (pictured below)? Have at them. The National Screening Room website hosts home movies of Liza Minnelli, Thomas Edison footage, and more from the Library of Congress’s collection of more than 1.6 million items. Titles cover fiction, non-fiction, newsreels, and home movies from 1890 to 1999. The 'Video Controls' link to play, pause, fast forward, rewind, and adjust the volume. Click 'Cite this item' on each video's page for a pre-formatted citation in Chicago, MLA, and APA. Summary: "Daisy," sometimes known as "Daisy Girl" or "Peace, Little Girl," is a controversial political advertisement that aired on television during the September 7, 1964 telecast of David and Bathsheba on The NBC Monday Movie. Though only aired once by the campaign of Lyndon B. Johnson, it is considered to be an important factor in Johnson's landslide victory over Barry Goldwater and an important turning point in political and advertising history. It remains one of the most controversial political advertisements ever made. Schwartz, Tony, and Monique Luiz. Peace, little girl: Daisy political spot. 1964. Video. Retrieved from the Library of Congress, . 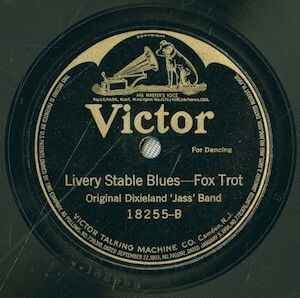 The Library of Congress has over 20,000 audio recordings available online: interviews, speeches, broadcasts, musical performances, sound effects, and more. Search within the National Jukebox collection of over 10,000 historical sound recordings, covering the first quarter of the twentieth century, and find music, poetry, political speeches and other spoken word recordings. Or you can do a broader search of all of the Library's collections with audio recordings. The National Jukebox provides access to historical recordings for free on a streaming-only basis – no downloads. It covers the first quarter of the twentieth century and includes music, poetry, political speeches and other spoken word recordings. Click on "Browse All Recordings" and you can find albums by Title, Artist, Genre, Place (where the audio was recorded) or Date Range. Search all of the audio recordings held by the Library of Congress - over 20,000 titles. Collections vary from "Man-on-the-street" interviews after the attack on Pearl Harbor in 1941, to recordings of folk music, poetry readings, concerts, to "Voices from the Dust Bowl" - interviews with migrant workers in 1940 and 1941. Access is on a streaming-only basis – no downloads.